It’s a week when secrecy – broadly construed – is in the news. The infamous Protection of State Information Bill is predicted to be back before Parliament this week, and a separate item hogging the headlines is the government’s ongoing attempts to delay or prevent the publication of the Public Protector’s report into Nkandla. But one issue receiving less attention is the attempt by the police to curtail the ability of journalists to report on an investigation into Riah Phiyega and Western Cape police chief Arno Lamoer. By REBECCA DAVIS. 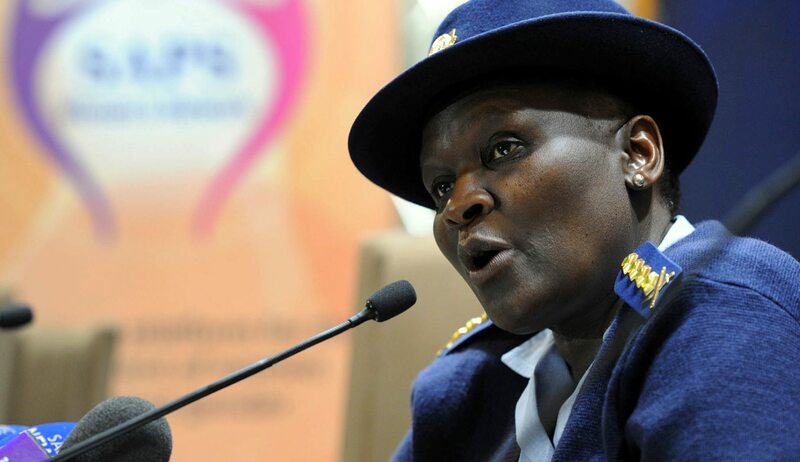 The story was broken in late October by the Sunday Independent, whose journalists reported that Sunday Tribune journalists had heard phone conversations taped by crime intelligence between national police commissioner Riah Phiyega and Western Cape police commissioner Arno Lamoer. In the recordings, Phiyega reportedly tipped off Lamoer on three occasions that crime intelligence was investigating him over allegations that he was on the payroll of a Western Cape businessman and suspected druglord. What made this alleged act doubly questionable was that Phiyega had shortly previously suspended crime intelligence head Chris Ngcobo for allegedly falsifying his credentials. Ngcobo believes he was targeted for having raised the alarm about Phiyega and Lamoer. If it’s true that Phiyega warned Lamoer about the crime intelligence investigation, it would amount to defeating the ends of justice. Phiyega has said that she was simply discussing the case with Lamoer in order to be able to answer questions from the DA in Parliament. IPID, the police complaints watchdog, is investigating. All of this has been widely discussed, in this publication and others. But an additionally problematic aspect to the case is the manner in which the police have been attempting to control and stifle journalists’ reporting on the matter. A week after the original Sunday Independent story broke, the newspaper reported that Independent Newspapers had been sent a legal letter – signed by state attorney Jeanne de Lange – ordering the group to hand over “the original information and all copies of such information in your possession pertaining to [the calls between Lamoer and Phiyega] in whichever format” without delay. The law invoked to justify this heavy-handed action was the Protection of Information Act of 1982, on the verge of being repealed and replaced by the (also controversial) Protection of State Information Bill (POSIB) due to its unconstitutionality. No criminal proceedings were pursued by the police; possibly a tacit acceptance that they were on shaky legal ground. But they haven’t stopped there. On Sunday, the Sunday Independent reported that Independent Newspapers had received another letter from the state attorney, this time demanding to vet in advance any article which dealt with the conversations between Lamoer and Phiyega. If Independent did not comply, the letter warned, the end effect could be to damage ongoing investigations. “You will appreciate the fact that it does not serve the interests of justice to attempt to investigate and combat crime, only to have the attempt thwarted by media reports informing the very suspects of the criminal investigation that they are not only being investigated, but that their conversations are being intercepted in this regard,” the letter read. Independent’s lawyers responded that the recordings suggested that if anything had compromised the investigation, it was Phiyega informing Lamoer that he was being investigated. Stein was referring here to the Supreme Court judgment in the 2007 case of Midi Television (Pty) Ltd v Director of Public Prosecutions, Western Cape, which held that eTV was within its rights to broadcast a documentary of the Baby Jordan murder after the police had made arrests but before the trial had gone ahead. This case “in effect gutted the sub judice rule”, Daily Maverick columnist Pierre de Vos wrote earlier this year, because it ruled that “publication will not be unlawful unless a court is satisfied that the disadvantage of curtailing the free flow of information outweighs its advantage”. Stein says the police’s second demand has not landed up in a court application to date, and no criminal charges have yet been pursued either. From their part, SAPS maintains that the issue is purely to do with maintaining the integrity of the investigation. At that point, Makgale says, any media outlet will be able to report “in detail” on these matters. But what remains a point of concern is the fact that SAPS invokes a law which its own State Security agency describes as unconstitutional as the basis for opposing the current reports. When the Sunday Times followed up the story this past Sunday with a report alleging that Lamoer was not the only Western Cape police official under investigation for corruption, they also had the unconstitutional old 1982 Protection of Information Act waved in their face. “It’s a damning indictment of SAPS’s damage control tactics that they are willing to drag up a secrecy law that everyone – government included – agrees is unconstitutional in order to try shut the public out of this story,” Right2Know coordinator Murray Hunter told the Daily Maverick on Monday. He suggested that the ultimate intention was intimidation rather than litigation. “We’re more concerned that this shows the willingness of senior security officials to invoke a securocratic law to silence the media. The approach here is not to find a legal justification that will actually stick, or be upheld by a court, but just to hold up a legal threat long enough to scare journalists off or scare their sources into silence,” Murray said.